His injury turned him from an officer in an elite unit into a disabled guy. Competitive basketball changed his world and proved to him that even in a wheelchair you can remain a warrior, and win, too. Once every few weeks, a group of IDF officers comes to visit Beit Halochem (a rehabilitation, sports and recreation center for disabled veterans) in Jerusalem – regiment commanders, base commanders, squadron commanders, etc. – for a day of introduction. 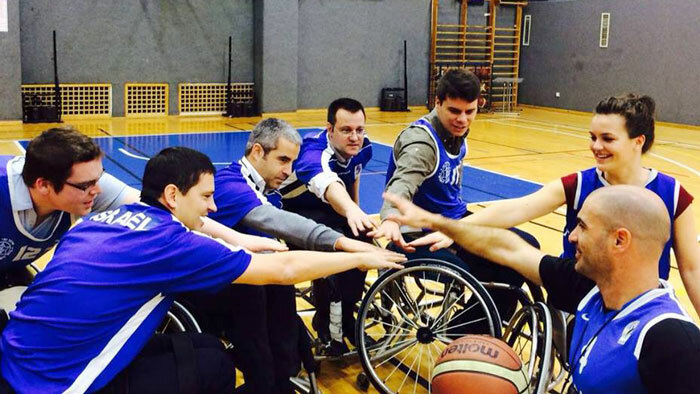 During the course of the visit, the guests take off their military uniforms, put on sports clothes, sit in wheelchairs in the gym and, for the first time in their lives, begin practicing basketball from wheelchair height, usually against a team of disabled players. “You need the ball to pass from player to player, with all of the players on the team playing the same melody in harmony. This understanding is correct for sports, for the army, and also for many other areas of life. Ben Tolila was born 36 years ago on Kvutsat Yavne, a religious kibbutz, the fourth of five siblings. In 2000, he enlisted in the Maglan special forces unit, and underwent a grueling combat training course lasting twenty months. Even at that point he was identified by the unit’s commanders as having great promise, and after completing the course he was sent to an officers’ course. Afterwards, he returned to his unit, at first as a team commander and later as a deputy company commander. Ben Tolila was injured in an operation he led in 2004, in the refugee camp on the outskirts of Jenin, when he was already a career officer. The force had surrounded the home of the target, when a soldier in a parallel force opened fire and hit Ben Tolila accidentally. The bullet entered his body through the right arm, hit his spine and caused paralysis. Ben Tolila was evacuated by helicopter in serious condition to the Rambam Medical Center in Haifa, where he underwent surgery and was hospitalized in the intensive care unit, sedated and on a respirator. When he recovered, he was sent to Tel Hashomer for rehabilitation, for six months. During that entire period, Maya was at his side – his then girlfriend, who later became his wife and his partner in life. And Maya accepted you just as you are? 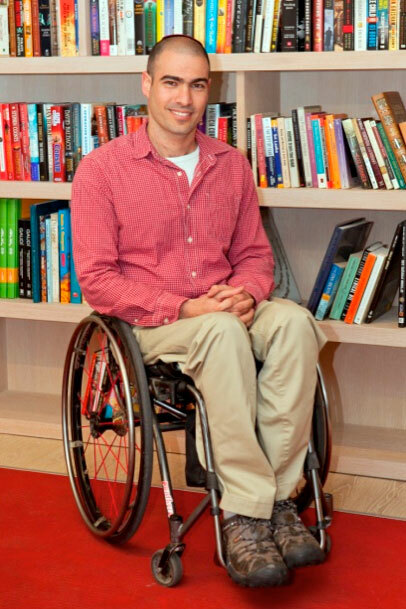 In the 13 years that have passed since his injury, Ben Tolila has completed a bachelor’s degree in social work at Bar Ilan University, and a master’s degree in organizational consulting at the College of Management in Rishon LeZion. In between degrees, he also established his personal business, Roim, through which he facilitates workshop groups in leadership, including business leadership, with a program he developed himself. At the same time, Ben Tolila has been serving for the past few years as the professional director of Amutat Maglan’s mentoring program, which helps alumni of the elite unit to realize their personal dreams. Each year, they connect 12 unit alumni studying for an undergraduate degree to 12 successful leaders in various fields – business leaders, company directors, hospital unit directors, etc. The mentor-leaders guide the former soldiers throughout the period, and help them to develop any wish or idea they have in mind. And how is this manifested in practice? 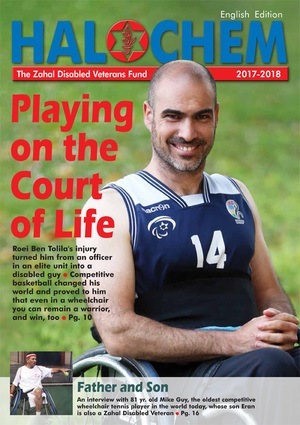 Just a few days after our meeting at the beginning of summer, Ben Tolila set out with the Israeli national wheelchair basketball team to the European championship tournament on the Spanish island Tenerife. During this championship, as in the prior one two years ago, the Israeli team reached a respectable eighth place, again establishing its status among the best European teams. For Ben Tolila, one of the team’s guards, the encounter with this demanding sport in his early 20s was a significant turning point in his struggle with the concept of disability. Did comparisons to Maglan also come up on the court? 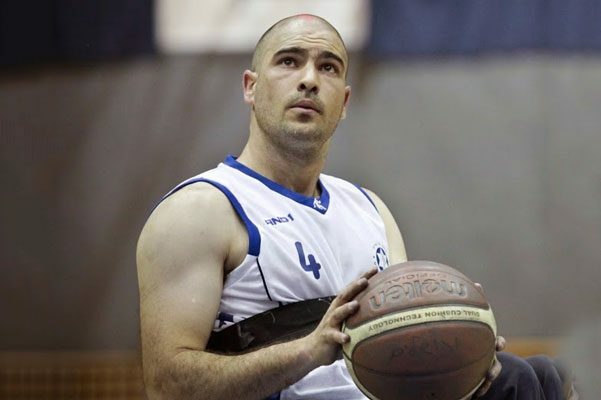 In 2009, after playing for a few years on the team at the Tel Aviv Beit Halochem, Ben Tolila embarked on another exciting adventure – establishing a competitive wheelchair basketball team at the Jerusalem Beit Halochem, which he calls his second home. Along with his good friend David Deri, a disabled veteran from Jerusalem, the two began to recruit players for the new team. An amazing and unusual experience awaits the visiting teams that come to play against the wheelchair basketball team at the Jerusalem Beit Halochem, both at its home court and at the big and important games that are held sometimes on the court of a huge arena. The team encounters the noisy and supportive Jerusalem crowd, in extreme contrast to the quiet and polite audience of most of the other teams in the premier league. Good question. How did you answer him? The players on the other teams don’t suffer from it?